I can hardly believe it's been a decade since I created International Yoga out of my belief in the transformational nature of yoga and travel, and the desire to foster this for others. I continue to marvel when hearing of the profound shifts experienced by our teachers and their students as they travel and practice all around the globe. It's clear that the personal growth and sense of global connection these retreats create are as strong, and needed more than ever, and ten years later I continue to find deep personal meaning in this work. I have been a committed world traveler for as long as I can remember; spending summers visiting family in Europe since childhood, attending a portion of high school and all of college in Europe, and then backpacking and cycling through 75+ countries on $10/day visiting all seven continents along the way. 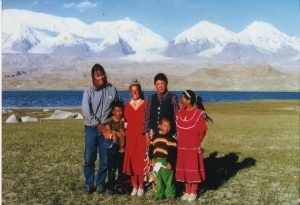 I have always felt the most alive and present while sharing experiences with other cultures. In between traveling, I also fell hard for yoga in my 20s and became a dedicated practitioner for over a dozen years. In 2008 creating International Yoga allowed me to combine my two passions and create one of the first retreat management companies in the market. 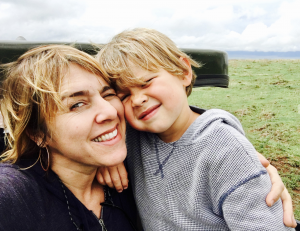 Last December, I traveled with my 5-year-old son, Arlo, to Tanzania for IY’s first ever retreat in Africa. 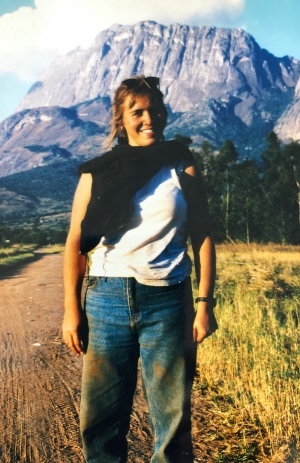 I was in my early twenties when I first experienced Tanzania, as part of a backpacking journey which brought me through 20 countries on this incredible continent. In my thirties, as manager of an adventure travel company, I returned to the continent, this time summiting Mt. Kilimanjaro with a group of British soap stars and a camera crew! So, I felt I’d come full circle to be in Tanzania again, now in my forties, with my own company, a lovely group of yogis AND my young son - all of us deeply impacted by the natural and cultural beauty of this part of the world. As I ponder the decade ahead, I notice that the vision I hold for those who travel with us is the very same vision I have for myself, and my young sons: to always foster personal growth, to deepen knowledge of self and the world around us, while having quite a bit of fun and adventure along the way. And there will definitely be more adventures ahead for IY! In the next year, International Yoga will be almost doubling our number of retreats, so you can look forward to new destinations and one of a kind luxury properties, as well as an expanded team of experts at IY to support your travel dreams. I am so grateful to all of you who share in the sentiment and have taken the journey with International Yoga. And grateful to the team who has worked tirelessly to see the vision through. I send my deep gratitude to the truly incredible teachers, partners overseas and adventurous spirits who have journeyed with us over the years. We couldn't have taken this journey without you. So many thanks and here is to the next decade!